"Work on 44 Nunhead Green in South East London"
and affordable” housing in more than 100 countries world-wide. SHfH was founded in 1996 by a group of local people who were concerned about housing in London and were passionate in their belief that communities needed to be active in providing solutions to the housing problems they face. As a house-building charity, SHfH’s aim is to “build community whilst building homes”. They are particularly experienced in managing skilled and unskilled workers on site to produce a quality built product. They aim to deliver decent affordable housing, along with collaborative community activity, which together acts as a catalyst for wider social benefits. SHfH offer a “lease and repair” scheme to refurbish empty/disused properties using their own charitable funds, along with other grant funding where this is available. The finance for these repairs is then repayable through a rental stream based on the Government’s new affordable rent model. Primarily this is either with Council-owned property, or working directly with private owners, where necessary with the assistance of Empty Homes Officers within local councils. There are wide benefits to the community simply by getting people housed who need it (nominations coming from the local council) and by dealing with a problem empty property which has a low prospect of being improved by the owner without this assistance. Other opportunities are provided on the projects for skills training for local unemployed people, along with volunteer assistance from corporate teams and local community volunteers. SHfH have carried out a number of refurbishment and redecoration projects in London for the YMCA and Solace Women’s Aid. They have also worked on similar refurbishment projects for other charities, where they provide the materials and skilled supervision for corporate volunteer teams to get involved in this work. On many of these projects, this becomes the backbone of financing the work, and the main workforce for completing it. Wherever possible, they are always keen to get community volunteers involved or directly involve residents of the charities being helped. SHfH have also built a variety of new build homes for affordable sale or rent, all of which have a distinctly alternative approach to the construction process. Between 2000 and 2004, SHfH completed 16 affordable houses in Peckham, South London, helping low income families achieve sustainable home ownership and involving them in the construction of their homes as a form of “sweat equity” and to build a sense of ownership and community. In 2009, SHfH completed a block of 12 flats developed on the site of the former Star of India public house in Peckham. Remarkably, this was achieved using 1500 volunteer days on site to assist in the construction. The flats now provide affordable accommodation for twelve local families, many of whom had been on the waiting list for a home for several years. The operational costs for SHfH as a charity are sustained through a combination of project-related income, corporate sponsorship and donations, and unrestricted funds passed on by Habitat for Humanity International. SHfH’s plan is to sustain their ongoing project activity and office overheads through the projects themselves to become less reliant on fundraising and statutory funding. In addition to this, the charity is gradually building up reserves to be able to fund future new-build developments, and provide a recyclable fund for ongoing empty homes work. The majority of the charity’s work to date has been in London, and specifically in the South East area. Now that good working models for new build, empty homes and other community projects have been established, SHfH are looking to expand their activity to other areas of the UK. 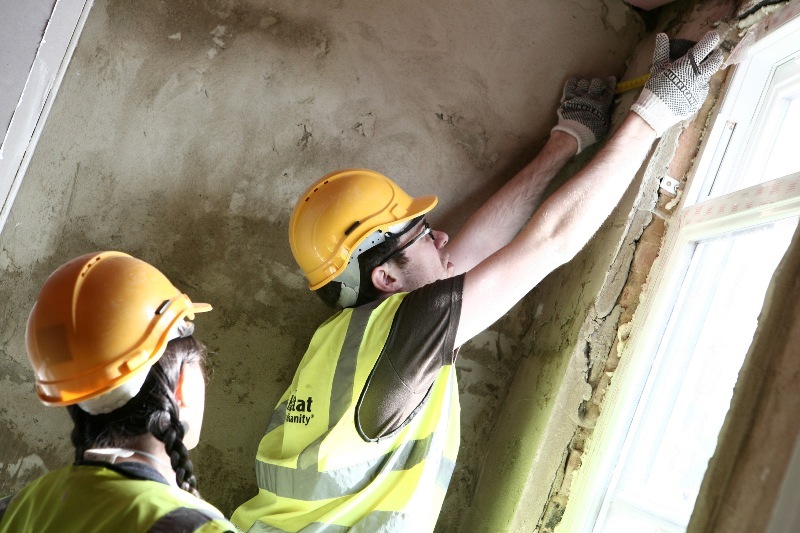 Banbury is a natural starting point for expansion since it is already the centre of international operations for Habitat for Humanity Great Britain. The growing Self-Build and Community Land Trust movements, along with the Localism agenda being set by the present Government present wide opportunities for SHfH to participate and have an active role and voice in the changing face of affordable housing provision in the UK.